Y SG 33. 2 c Surcharge 1884. (£ 90). X SG 41. 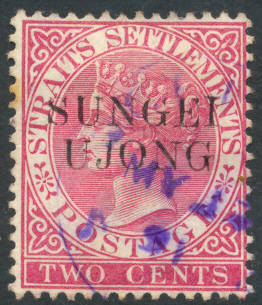 2 c Surcharge 1885. Partly gum. (£ 85). m SG 42. 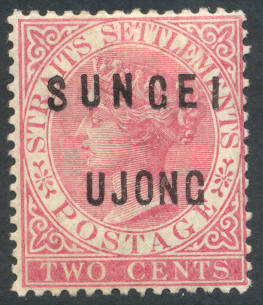 2 c Surcharge 1886. (£ 35). m SG 45. 2 c Surcharge 1890. (£ 16). 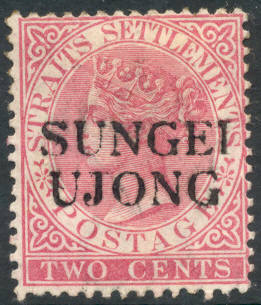 Y SG 50/52. Tiger 1891 - complete set. (£ 32). 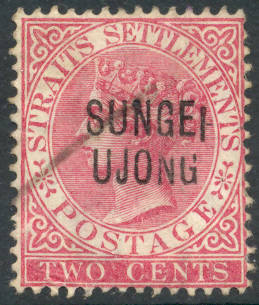 m SG 50/52. Tiger 1891 - complete set. (£ 35).